Progress to Date — 1,881 items purged. 1,881 items have been removed from my life! It can be a challenge to actually stop the purging and share the count. The next milestone always feels so close! 2k for example. I’m so close to 2k! However, I’m long overdue from commenting upon 1,500 so here I am. Today is April 28, 2016. I began my minimizing project 1.5 years ago (October 2014). I’ve tracked (almost) everything I’ve purged. Why? Awareness—Which is paramount to habit breaking. Awareness for what I had, why I acquired it, why I got rid of it. What types of things do I tend to accumulate and why? 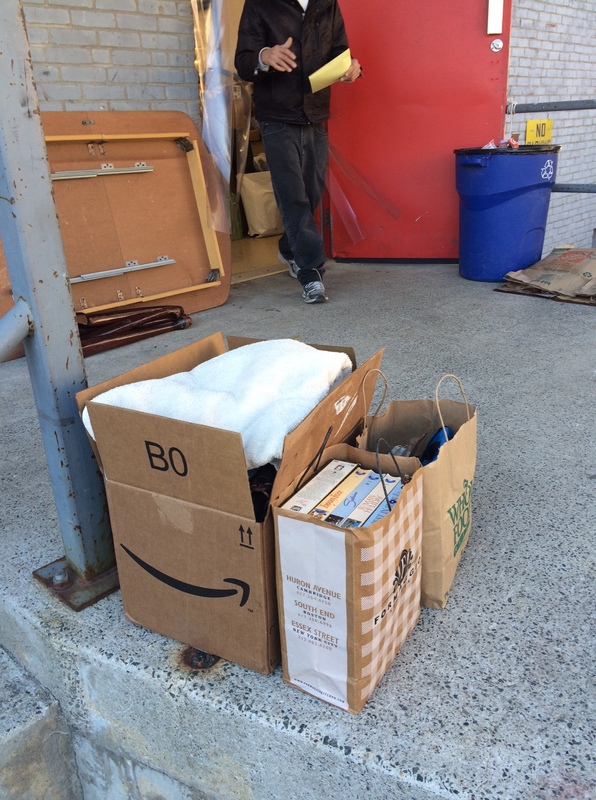 Taxes/Donated Goods—Not a good enough reason. Won’t be doing this again. Filling out the forms added a ton of work to the inherent joy of donating. In my case, the monetary gain did not offset the effort (most stuff I let go of was only worth 50cents-$2 at best…that included brand new beautiful clothes that were in great shape, but too far off trend for the local consignment shop to want them). Sense of accomplishment—I’ve been minimizing since October 2014. After a while I started to lose sight on my progress. Was it so bad before? Have I really changed much? As soon as I access my database of the 1,800+ and growing tally of purged items, I start to remember again. It’s pretty exciting! Recently I modified it so I can start tracking purchases too. Do you avoid your basement because it’s too full of junk? Do you wonder why you never just own up to the mess and clean it? Have years gone by living this way? Do you make frequent (and justifiable) purchases from Amazon? Do you shove all the empty boxes into your garage, (instead of diligently break them down to recycle)? When your house gets messy, do you intend to make cleaning a priority, but instead you go shopping for organizational or cleaning supplies (supplies you don’t really need)? Do you buy new clothes every time you have a special appointment, or maybe just because you feel blue? I did. I did all these things. For years. I spent way too much money on stuff. I wanted to stop. I didn’t know how. I knew I had to stop, save my money, and to get rid of things that I didn’t love. However, I was apprehensive because I’d gotten rid of things before, only to acquire them again. It usually only takes me four to five years before I’m back in the mess I vowed to tackle. This time I knew I needed to bring in a new technique that would get deeper into my psyche. I decided to track everything I donated or discarded. I reflected on two important dimensions; Why did I acquire this thing, and why am I letting it go? Doing these two things really allowed me to connect with what was going on inside of me, so I could examine my life and my behavior from a more meaningful perspective. What else did I track? I gave every item a status: Every thing I get rid of is flagged as a Goodbye or as Store/Decide Later. Anything that I acquire (a purchase or a gift I keep) is a Hello. Goodbye — Applies to things that I donate or throw away. Store (decide Later) — Applies to things that I want out of my living space, but am not ready to make a permanent decision on where it goes. Hello — Any thing I bring into my life. I’ve made so much purging progress, that I fear sliding backwards (I’ve done it before). So now I’m tracking my purchases. I don’t track food or consumables like soap or paper towels. I just track the things that could easily become clutter in a year or more. 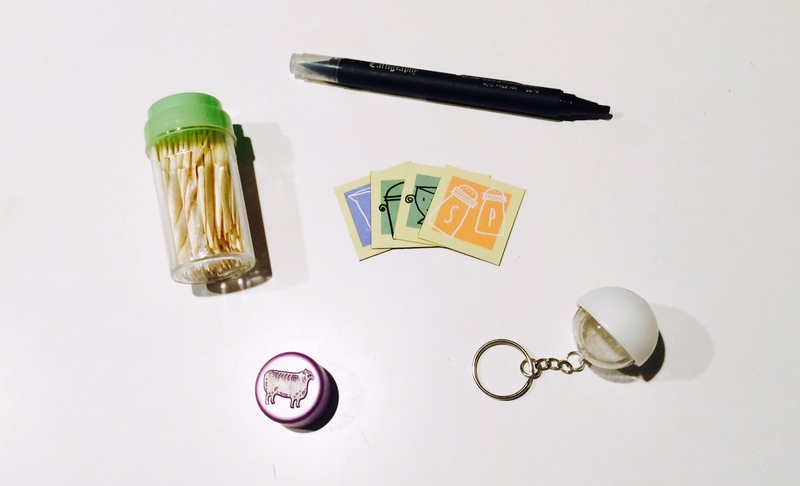 I categorized all the items: A way of thinking about the types of things I tend to accumulate. Freebie/Swag (anything that comes home with you because it was free). Imagined different priorities (I had all kinds of handbag-buckles, handles, snaps and straps because I thought I was going to be a purse maker. That was years ago! I loved it for a month. I no longer have that dream). Deal/on sale (anything you buy because it made you say “only $5!!!”). You could even add another category related to this—Couponing. If you have a stock pile of stuff you don’t need because you had a coupon for it, acknowledge that. Spouse (things that came with anyone you merge homes with). Note: This is used only if that person decided to get rid of something. No getting rid of other people’s things! That’s a rule. Needed at the time (exhausted and purchase a neck pillow at the airport…this could also go in the next category, it’s all how you think about things, and how you felt in the moment that thing came into your life). And finally, I track the reason I’ve purged an item. This helps me bring my thoughts full circle. If I acquired something because I loved it, and I purged something because I no longer liked it…what was going on here? It’s helpful to evaluate my thoughts around stuff so I don’t keep repeating the same disruptive patterns. This post was originally created Oct 2015… above is updated. 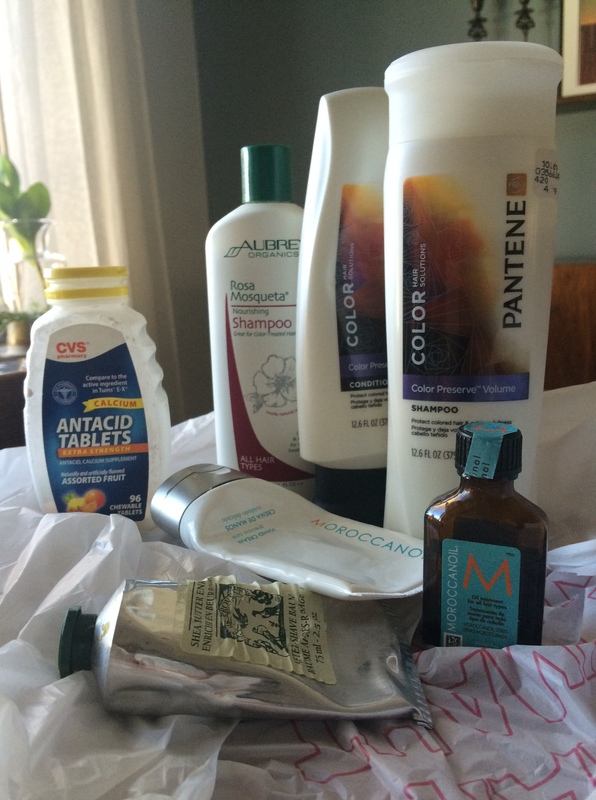 Day 20—Even more personal care clutter! Nothing wrong with this batch. It’s all just stuff I have too much of. I want less of this! Less stuff evolves into more thinking space. That’s the catch 22. The more you’re able to say “this could be useful if …” The more you will actually never use that thing. This is because there’s too much of it. It’s either overwhelming (so you just spend your time Netflix watching), or you have too many things to manage so you never remember you were saving it when (and if) the moment actually pops up! That’s the catch. You actually have to get rid of it to need it. At least this has been my experience. And that’s ok. I’m ok with this because I’ve made peace with this. It is a necessary part of the balance to the clutter situation. Not all art is sacred. Not all artists are born with talent, either. Therefore, practice art! Today’s purged stuff dates back to 1992-1998. I can’t say my newer art is light years ahead, but at least I know it’s time to let go of these very important (to my development) practice pieces. 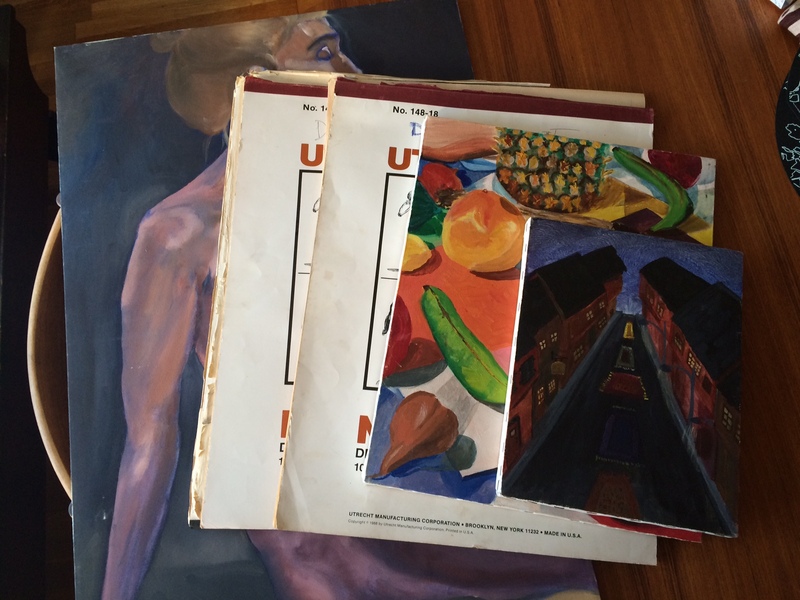 5 pieces of practice art gone today! Practice pad #2 (Referencing my definition that a “thing” is a decision (every decision to toss equals one thing) this pad might count as 30 decisions (the number of sketches I flipped through, and decided to discard). How Many Dishtowels Do You Need? How many do you think you have? How many do you want? If I hadn’t been minimizing, my guess would be around 20. 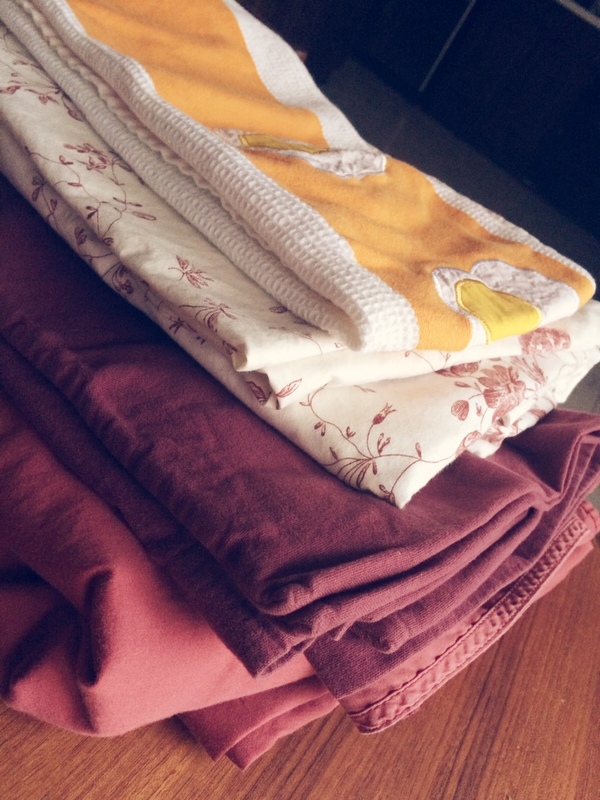 Because I actually laundered (finally) and folded every single dishtowel in my house. I now know I have (had) 33! That’s a little excessive, wouldn’t you say? Even worse, this suggests some big pile-up potential in the laundry room. Every Saturday I’d like to routinely do 1 load of clothes and 1 load of household. The household would consist of something like; 1 set of queen sheets, 3 additional pillow cases, 2 bath towels, 2 hand towels, 2-5 washcloths, 1-2 dishtowels, 1-2 dish rags. 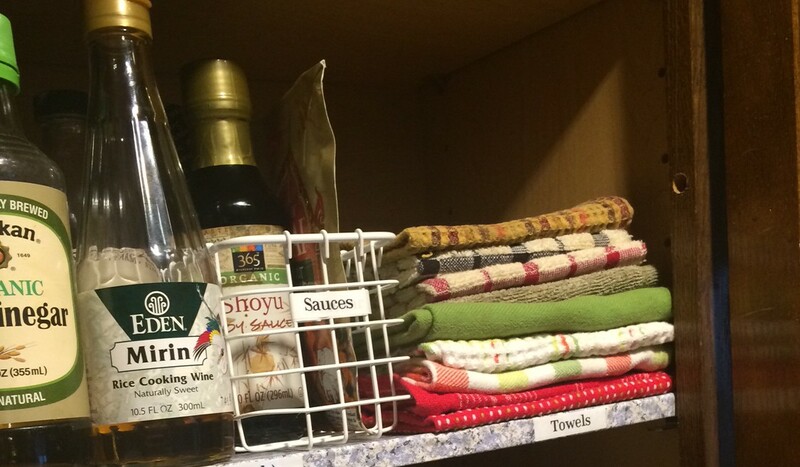 The good, I edited my kitchen down to 12 towels (7 towels, 5 rags) to support this new method. Here’s how it looks! The bad, I know I need to get that number down further. However, it seems that trying to manage a balance of festive (those bottom two are ready for the Christmas season) with “ok to get dirty” is getting in my way. This is exactly the benefit of committing to getting rid of only 5 items/day. It allows you to get momentum without going too far and feeling overwhelmed. 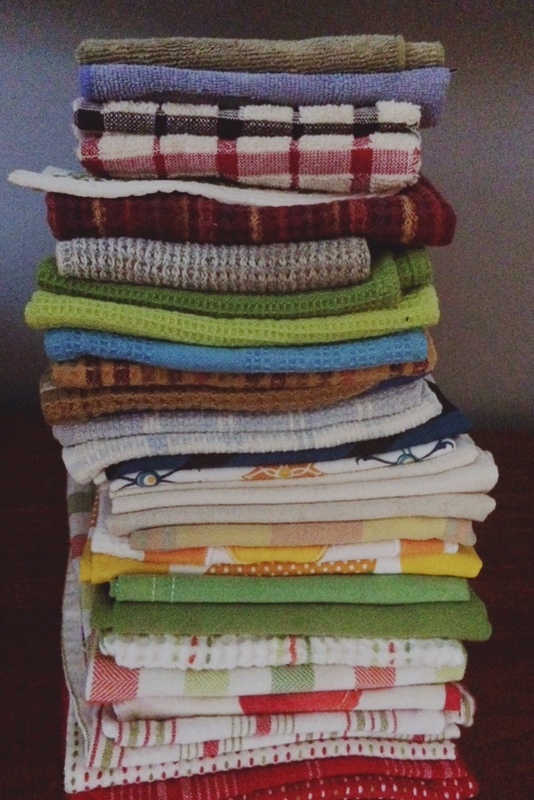 Regarding the dishtowels, and what they symbolize for me, I’m working on detangling like and want. I’m working on appreciating a thing in the moment and not bringing it home because it made me smile for a few bucks. All that and I was only able to get 1 towel out of the house! The remaining 20 are shoved in a plastic bag in the back of my closet. I’m not a scientist, but I did enjoy Jr. High physics class. It’s the first time I heard “matter is neither created nor destroyed”. It feels that way at home now. All the time I’ve invested in removing excessive things from my home, is coming back to me. For more than two weeks, I’ve been going through daily clutter purges. I did not lose, or waste, that time at all. It just shifted. Removing stuff means you’re removing choices. Fewer choices means fewer decisions. I’m talking about trivial choices and decisions. Ones that don’t matter one bit. For example, should I moisturize with coconut oil today or sesame? Who cares!!! right? This is exactly the type of choice that brings a false sense of freedom. I removed it, therefore I have more freedom. I have more time. I have more square footage in my house! Look at these piles I dropped off at Salvation Army yesterday (batch one above, batch two below). Does it seem like an insignificant volume? It is the size of a small hall closet. I just increased the size of my living space and removed brain tax. Ahhh! Hello Sunday! Since yesterday, I have said . . .
Goodbye THREE decks of cards. Because the two decks my husband added weren’t enough . . . Here they are, forever in photography…and thankfully no longer in my home. This is the kind of thing you come up with when you stay up ’til 2am. I was sitting in my work room, annoyed with my computer. Waiting…. waiting…. waiting. Became focused on all my clutter, so I started thinking about how I should motivate myself to organize. 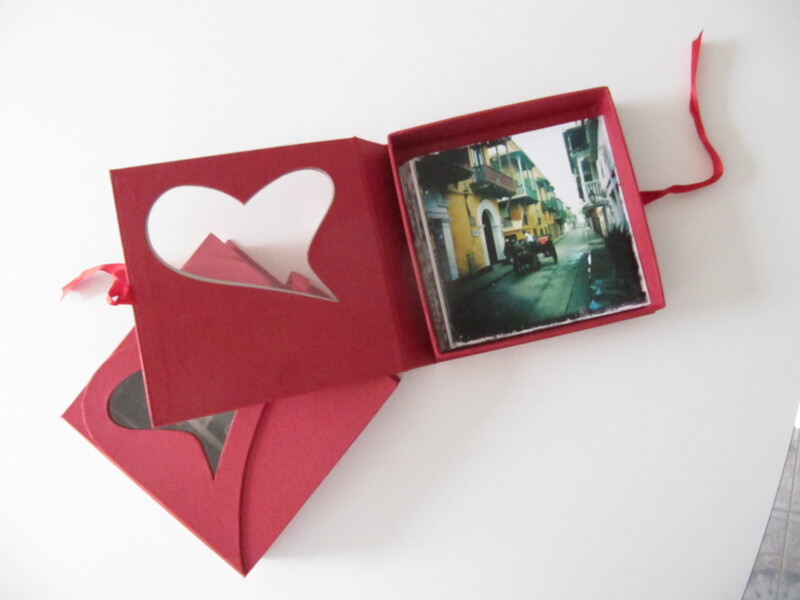 I picked up the empty chocolates box I saved, cuz I found it potentially useful. Then, I thought about those square Hipsta photos in the other room, also just lying around. Eureka and voila! My pictures find a home, while some of my clutter finds purpose. Eat goodies. Throw out tray insert (or save and organize your earrings). Store stuff like books on a shelf.